Chic leather sandals elevated with faux pearl detail Grip-tape strap Leather upper Leather lining Rubber sole Made in Italy. Children's Wear - Children's Shoes. Aquazzura Mini. Color: Jaipur Pink. Size: 28 EU/ 11 US (Child). Chic leather sandals with embellishments on straps Grip-tape strap Leather upper Leather lining Rubber sole Made in Italy. Children's Wear - Children's Shoes. Aquazzura Mini. Color: White. Size: 31 EU/ 13 US (Child). Comfy leather sneakers accented with metallic stars Lace-up vamp Leather upper Leather lining Rubber sole Made in Italy. Children's Wear - Children's Shoes. Aquazzura Mini. Color: White. Size: 31 EU/ 13 US (Child). Comfy leather sneakers accented with metallic stars Lace-up vamp Leather upper Leather lining Rubber sole Made in Italy. Children's Wear - Children's Shoes. Aquazzura Mini. Color: White. Size: 33 EU/ 1.5 US (Child). Crystal-embellished buckle details elevate ballet loafers Silk, viscose, crystal and cotton upper Round toe Slip-on style Synthetic lining and sole Made in Italy. 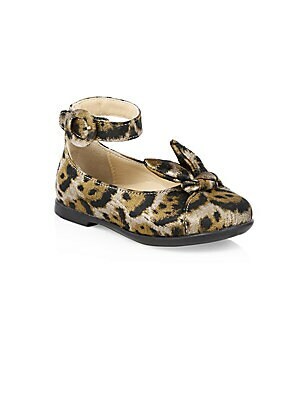 Children's Wear - Children's Shoes. Aquazzura Mini. Color: Black. Size: 32 EU/ 1 US (Child). Crystal-embellished buckle details elevate ballet loafers Silk, viscose, crystal and cotton upper Round toe Slip-on style Synthetic lining and sole Made in Italy. Children's Wear - Children's Shoes. Aquazzura Mini. Color: Black. Size: 33 EU/ 1.5 US (Child). 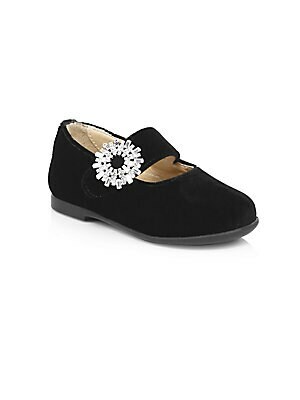 Embellished flower buckle adds elegance to ballet flats Silk, viscose, cotton and crystal upper Round toe Slip-on style Synthetic lining and sole Made in Italy. Children's Wear - Children's Shoes. Aquazzura Mini. Color: Black. Size: 21 EU/ 5 US (Baby). 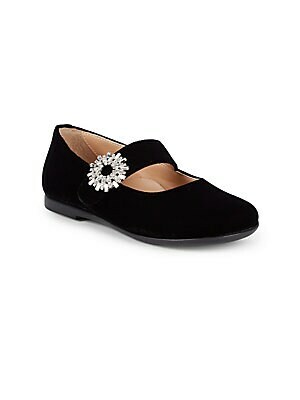 Embellished flower buckle adds elegance to ballet flats Silk, viscose, cotton and crystal upper Round toe Slip-on style Synthetic lining and sole Made in Italy. Children's Wear - Children's Shoes. Aquazzura Mini. Color: Black. Size: 25 EU/ 9 US (Toddler).